You’ve received your Catholic Journaling Bible. You’ve flipped through its pages and familiarized yourself with the layout. 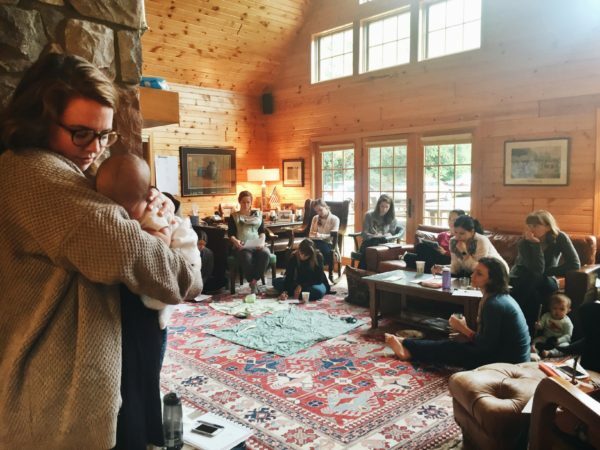 Now, you want start Bible journaling. But you’ve never done it before, and you feel overwhelmed with the possibilities and uncertain about how to begin. Sisters, we’re here for you! 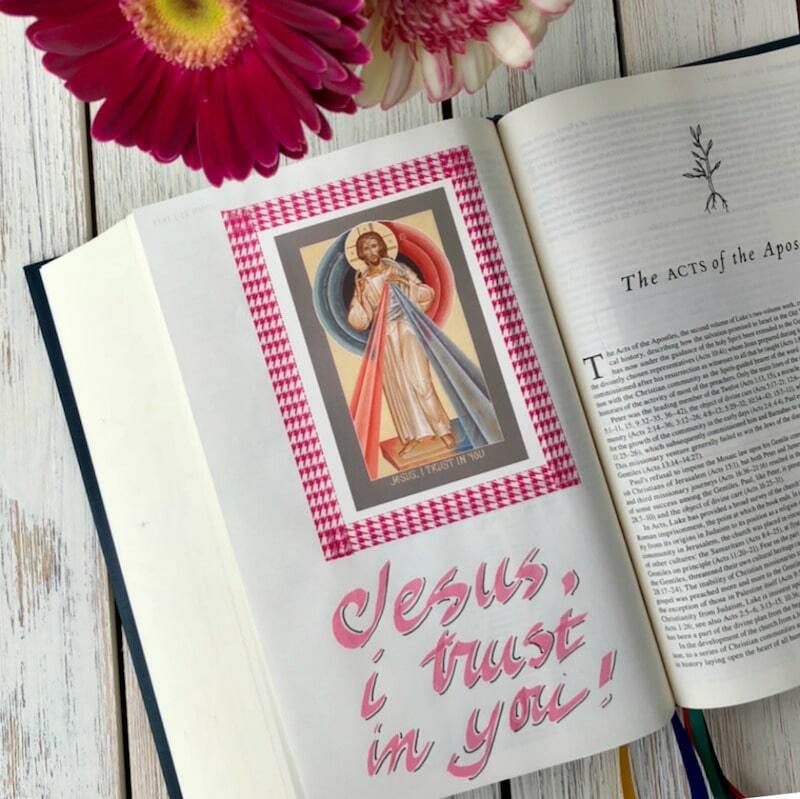 We’ve tried and tested a wide variety of Bible journaling tools and resources for you, and we’re offering our recommendations. 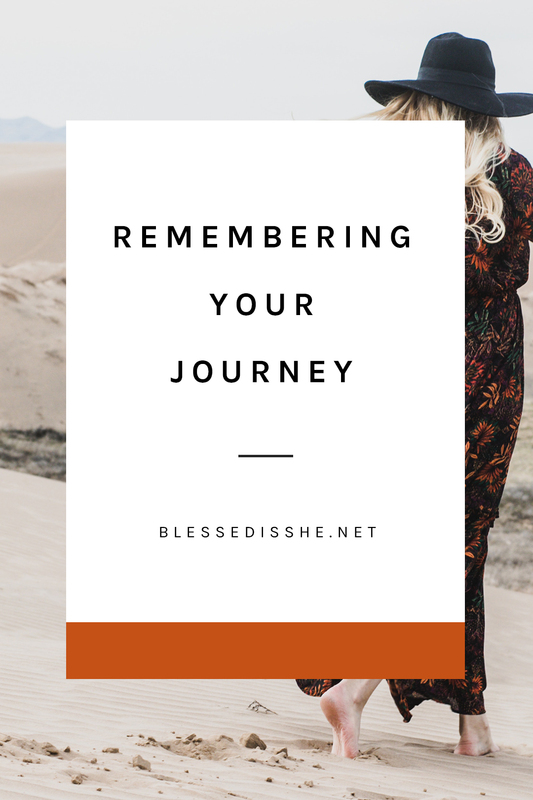 When considering what tools to use with your new journaling Bible, you need to take several things into consideration. Do you plan on underlining or highlighting a verse here or there? Do you plan on writing reflections, connections, or notes in the margins? 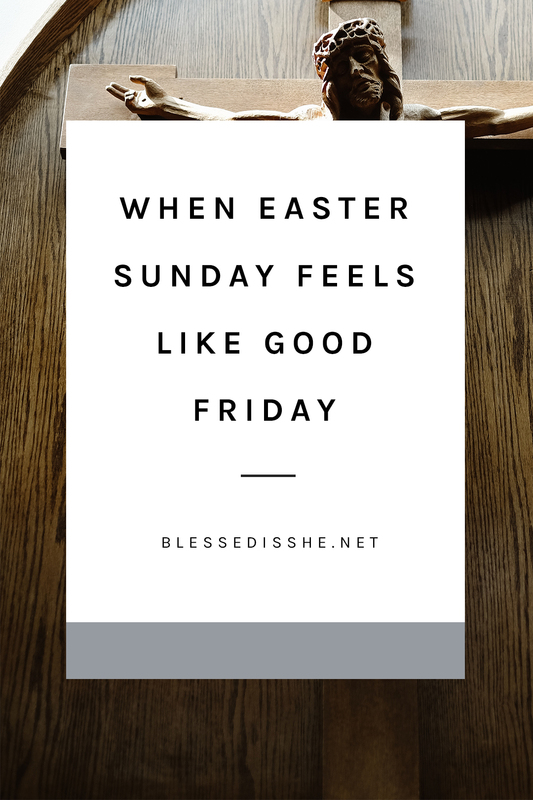 Do you plan to hand-letter entire verses or pigment entire pages? Determine your specific needs and desires first so you won’t buy thing you won’t actually use. 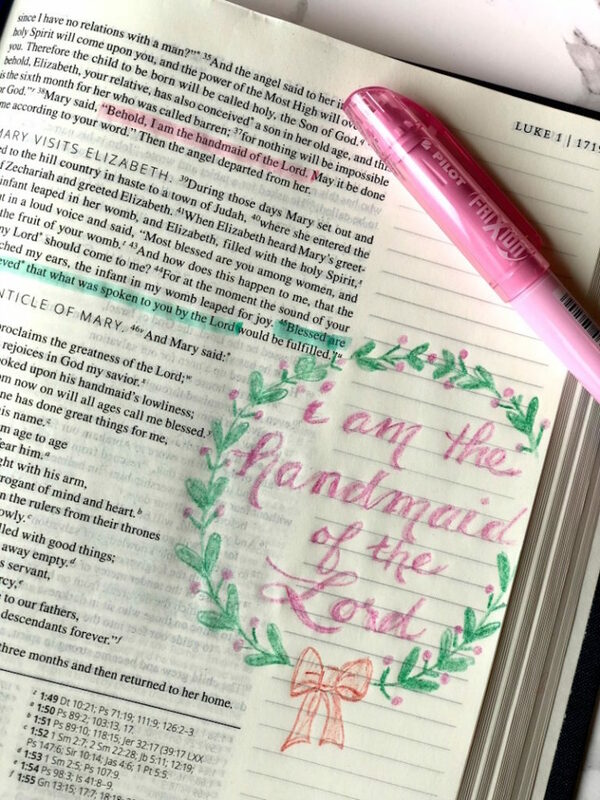 Once you know what style of Bible journaling you’d like to do, here’s a list of our favorite tools and resources. No matter what your journaling methods may be, here are some pens you may consider. This is your everyday pen. These are the pens you’ll find at the doctor’s office, at the bottom of your purse, or given away for free. In all likelihood, you have a few at your fingertips right now. Ballpoint pens are versatile and universal. Have you ever picked up a pen, started writing, and thought, “Whoa, this is smooth!”? You probably picked up a gel pen. Gel pens are my go-to favorite for bullet journaling, letter writing, and important paperwork. The ink is smooth, saturated, and there is a pen for every person. I get most of my favorites imported from Japan via Amazon. Gel pens tend to have the most variety of pen widths for a traditional pen, typically ranging from 0.28mm to 1.0mm. 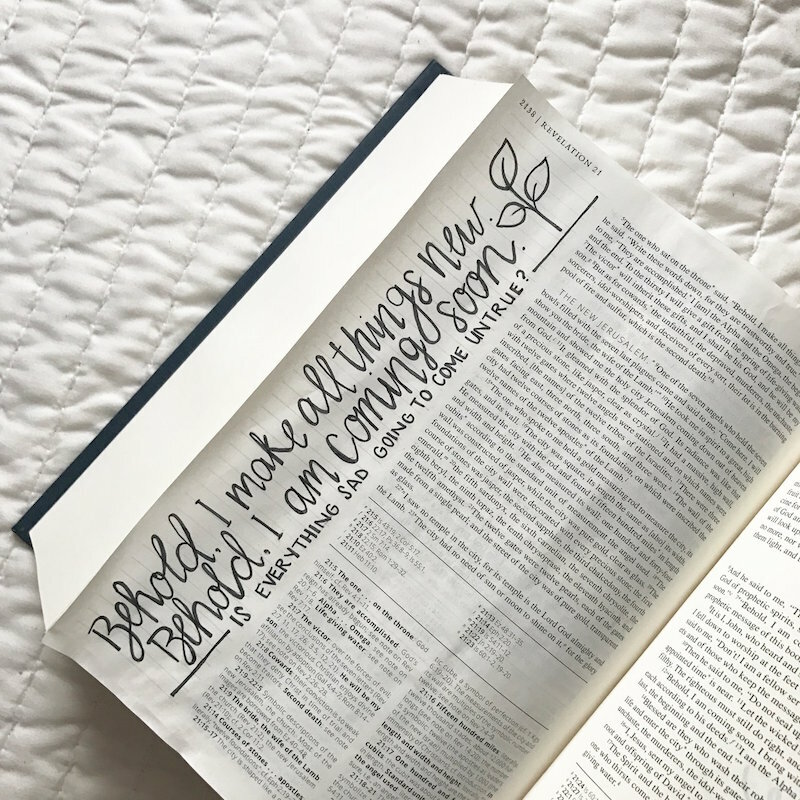 Sharpie pens are well-loved for their boldness, and they make a beautiful tool for your journaling Bible. They are fairly smooth to use and even come in a variety of colors. Make sure you use Sharpie pens, and not the ultra fine permanent markers (which will bleed through heavily). A favorite among hand-letterers and illustrators alike, I would describe this pen as a cross between gel and marker. The ink is super saturated, comes in a variety of points, and has a smooth line. Some brands are even water- and fade-proof, making them ideal for archival purposes. And while the ink is more visible on the backside of the page, I would not classify it as a bleed-through pen. I love these pens for their timelessness. But I do not suggest them for Bible pages. They are just for fun. 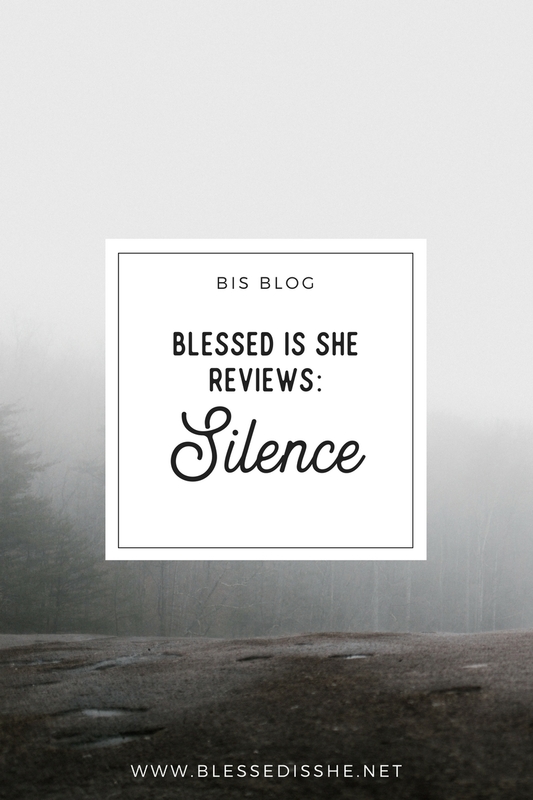 Or you can use them on one of the many Blessed is She prayer journals! 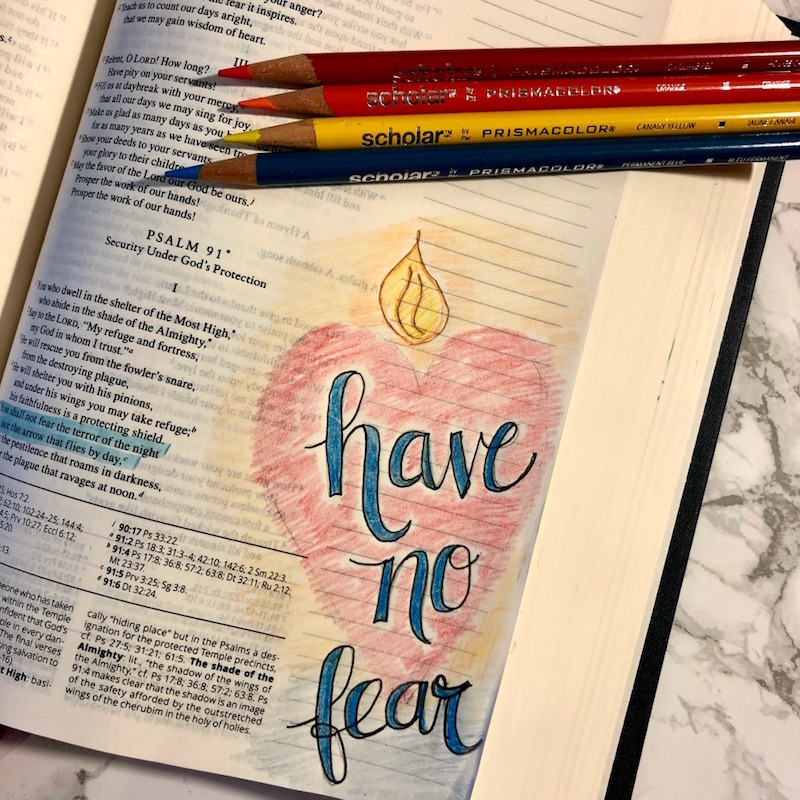 Colored pencils are great for adding color, depth, and personality to your Bible. And bonus, no bleed-through! I would suggest pencil if you plan on coloring an entire page. 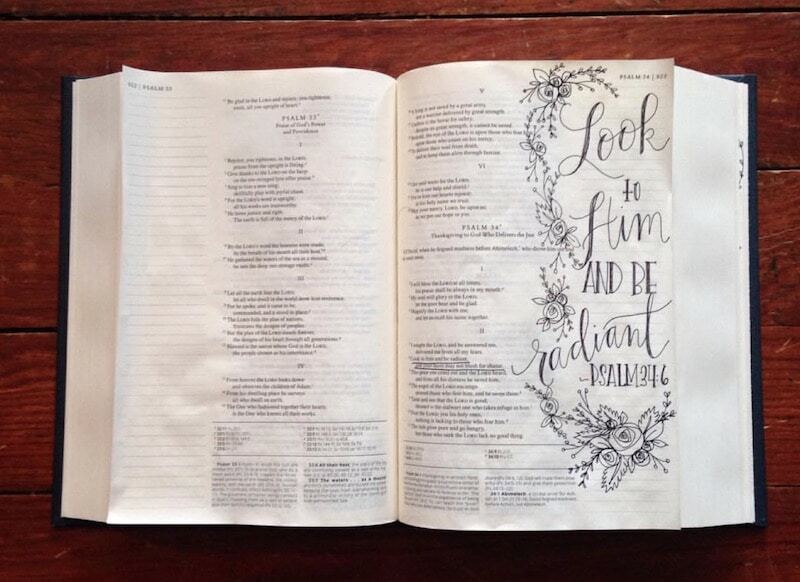 Writing and drawing preferences may vary, but most everyone likes to highlight Bible passages. Traditional highlighters, however, tend to bleed through the pages. You need a special type of highlighter to mark passages without damaging the integrity of the flip side. Erasable tools are a staple when I am outlining or planning something. Erasable options come in pens, highlighters, and markers. 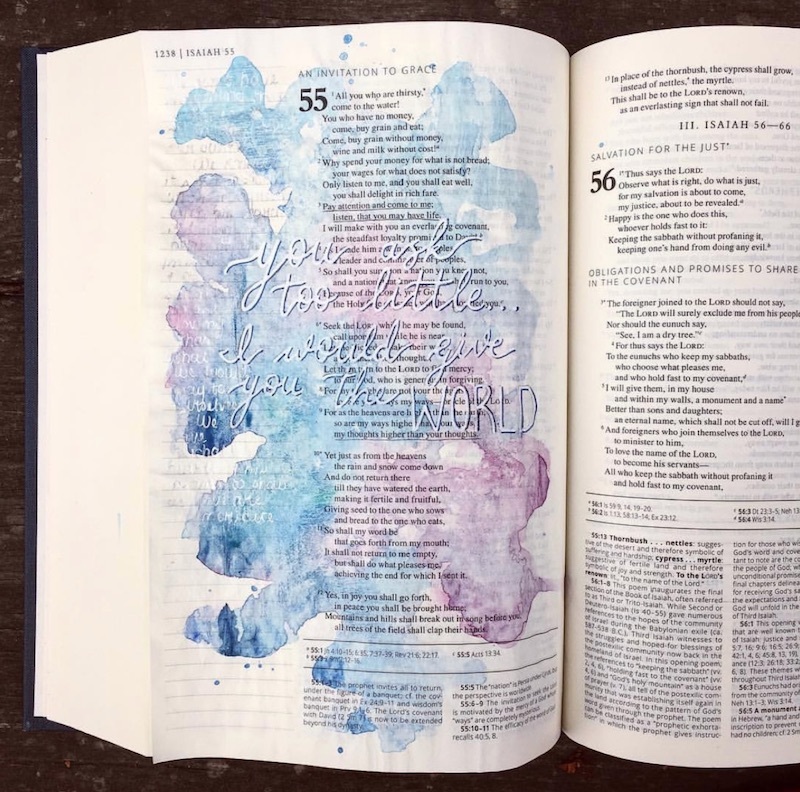 Another favorite medium for Bible journaling is paint. When it comes to using the right paint, texture is important to prevent bleeding and running. Watercolor seems to work better than acrylic, as acrylic is heavier and thicker. Watercolors will wrinkle the page a bit, but they seem to flatten out well once dried and closed. To prevent watercolors from bleeding through, use transparent watercolor ground. 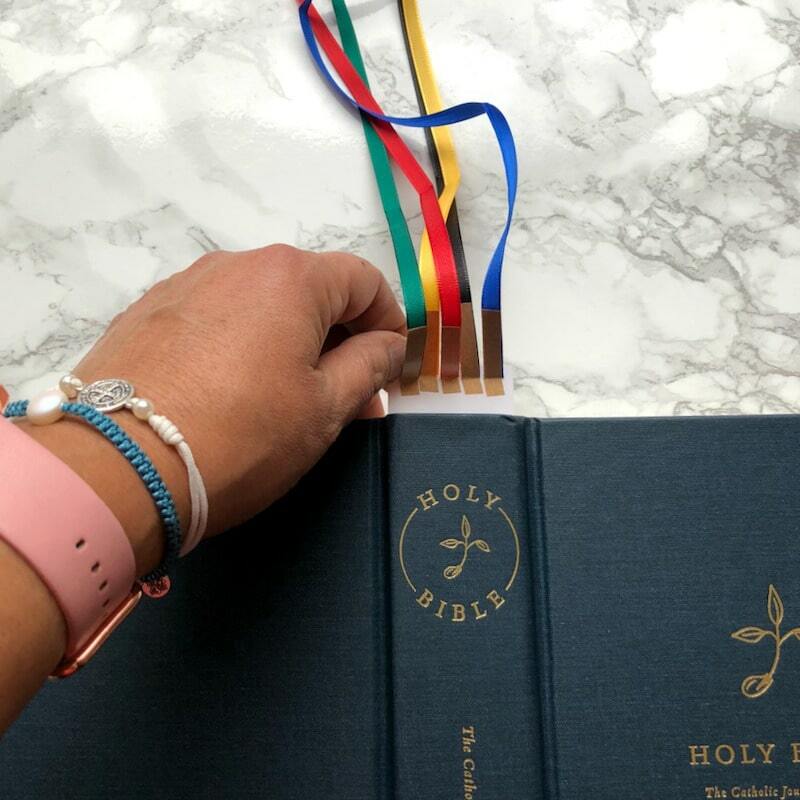 Scripture ribbons or bookmarks are great for keeping track of different books in the Bible, marking favorite passages, and quickly referencing books you are studying. Nothing decorates a page quicker than stickers. Lucky for us, from monthly sticker clubs to the $1 bin at Target, there are always cute stickers to be found. For washi tape, you can pretty much find it anywhere these days – Target, Staples, and craft stores such as Michael’s. Washi tape is so fun to experiment with! Many people like using Bible tabs for quick and easy navigation through their Bible. Cons: some people find tabs more distracting rather than more efficient; it comes down to personal preference! 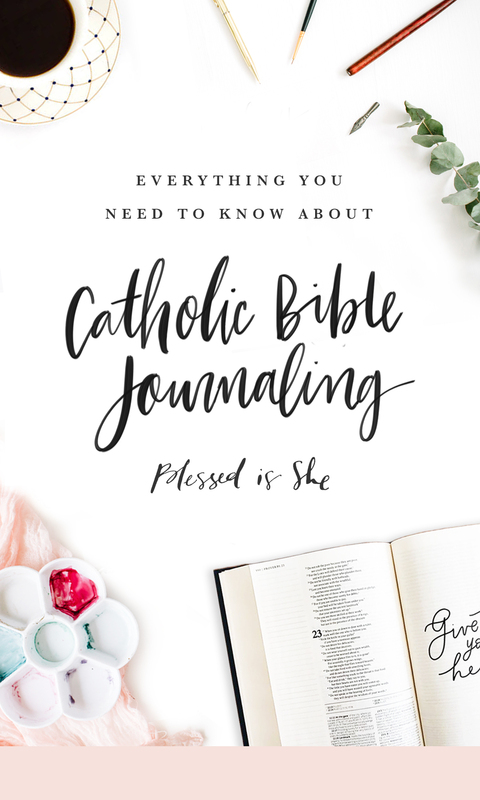 Many of our Blessed is She sisters have expressed concern about “messing it up” once they start using their Catholic Journaling Bible. And we understand that. 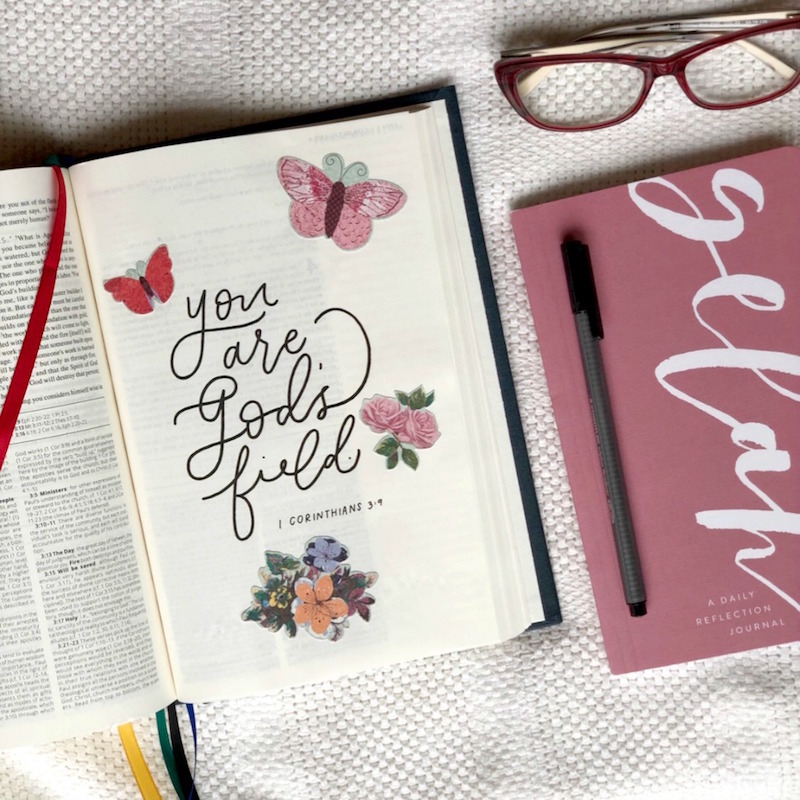 The Bible is beautiful and getting started with Bible journaling can feel intimidating. But, sisters, it is the Word of God. You can’t ruin it! It is and will remain perfect. 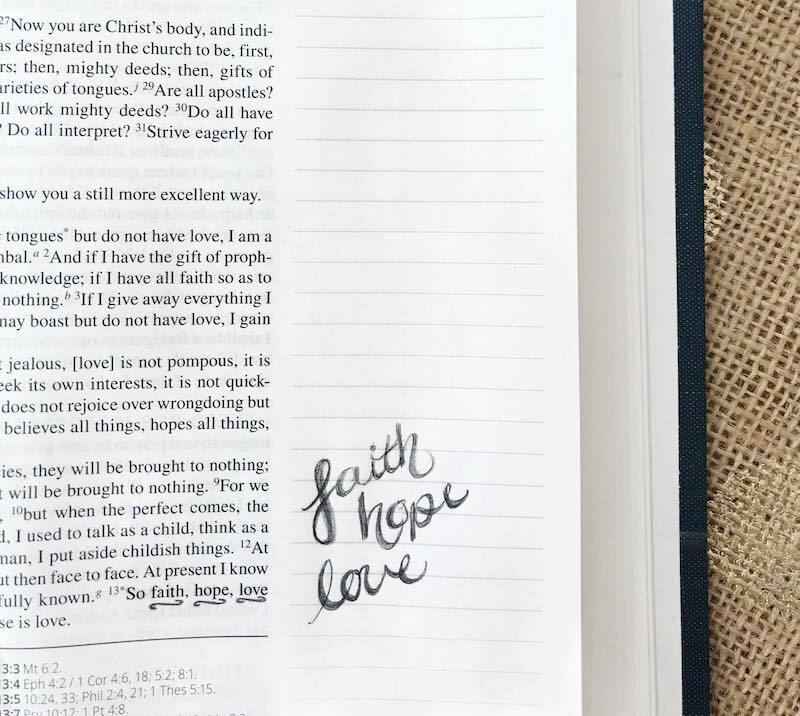 Bible journaling is simply meant to help you grow closer to God through His Word. So don’t be afraid of messing up or getting messy. Let Bible journaling be an expression of your love for the Lord, your desire to know Him better, and the lessons you learn along the way. 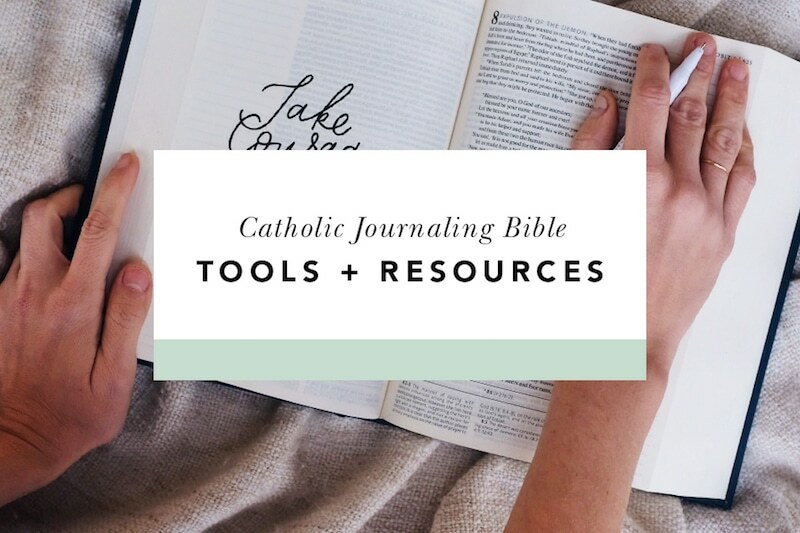 If you’d like a further visual experience of which tools work in the Catholic Journaling Bible, check out this video. 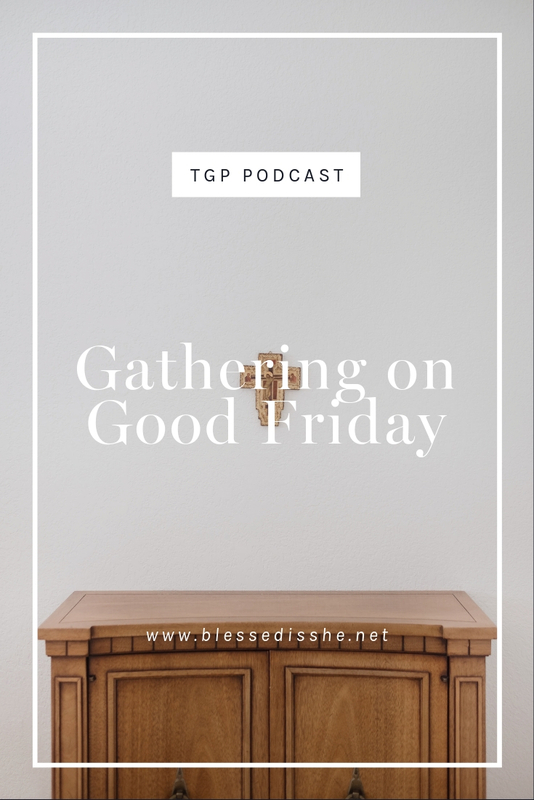 There are so many ways to spend time in prayer with God. 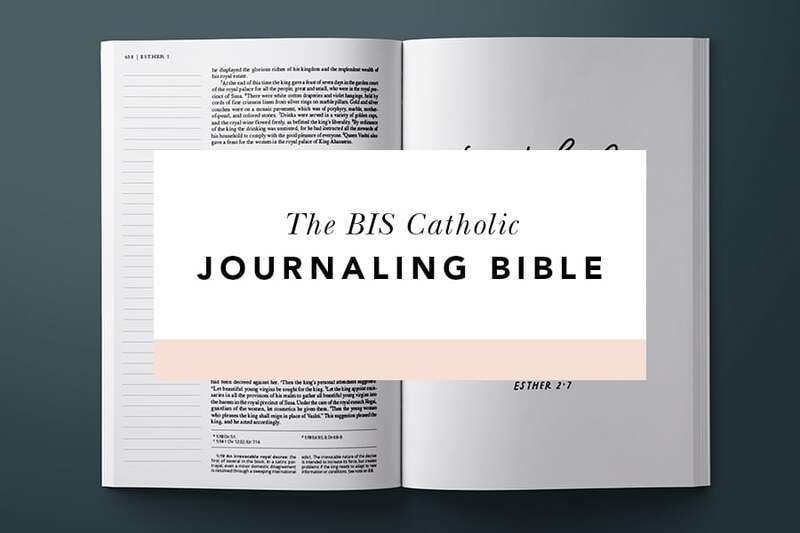 And now, with the use of the first Catholic Journaling Bible, you have another way to dive in to God’s word. 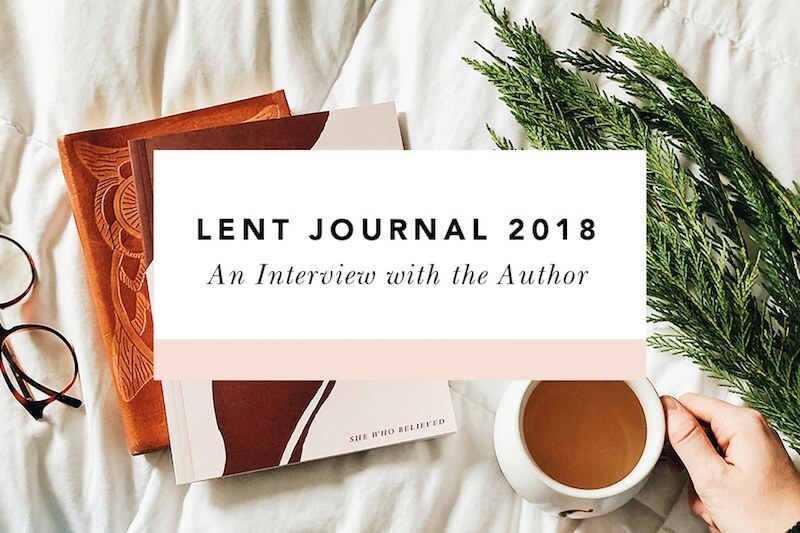 Have you gotten your Catholic Journaling Bible yet? What are your favorite tools to use? 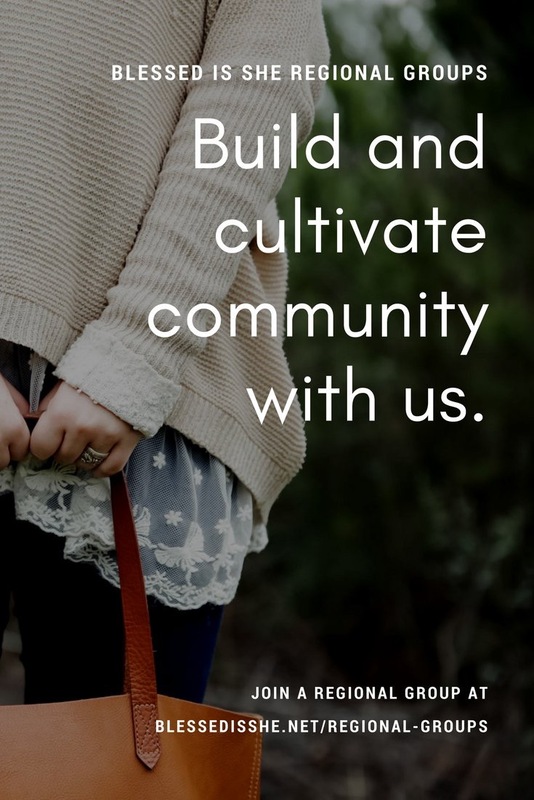 Share ideas in the comments below! Curated and written by Bobbi Rol and Samantha Aguinaldo-Wetterholm. Find out more about Bobbi here and Samantha here. This post contains affiliate links, which means that if you make a purchase by clicking through one of our links, the price will stay the same for you and Blessed is She will receive a small percentage in return. 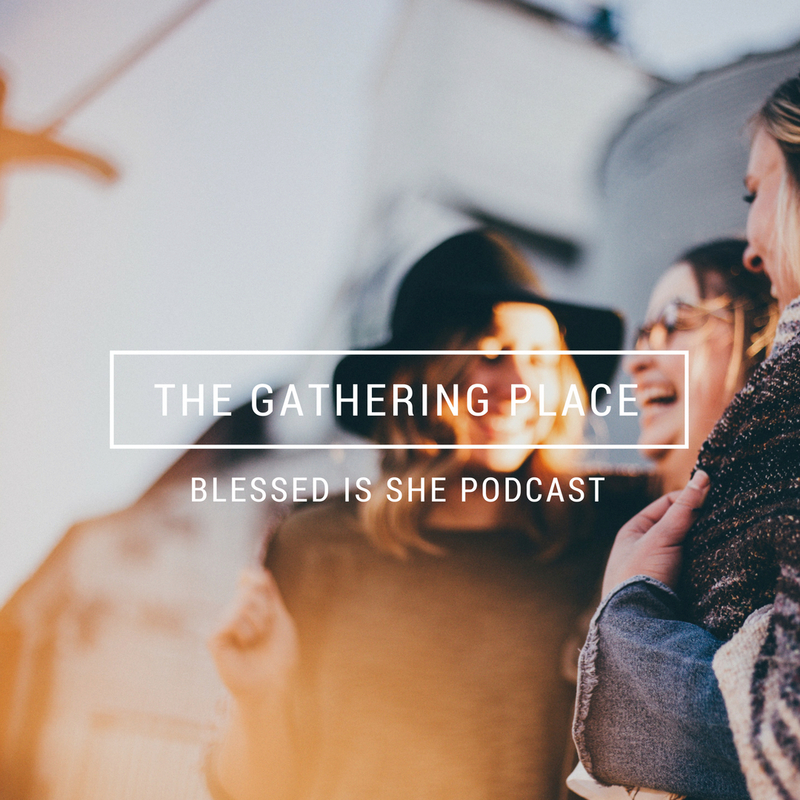 We thank you for supporting this ministry at no additional cost to you! Can you describe why we should stay away from fountain or dip ink pens? Hi! The fountain and dip ink is very wet ink and highly saturated. It will definitely bleed through Bible paper. If you used a fine enough nib, perhaps you could do it though. I recommend using dip and fountain pens for the inner covers, perhaps to write an inscription or your name. I have watercolour pencils and crayons, a cheap brand that works fine. Stamping, pigment ink only so far. Chalk ink bleeds but not badly. I use colorbox brand primarily. Derwent inktense blocks, I LOVE, doesn’t bleed, transparent enough not to block the words if painted over. However VERY expensive, I got mine on sale. I love stickers, I’m a doodler but not much of an artist so I go all out with stickers and printables. I love the idea of the scripture ribbons, need to check that out. 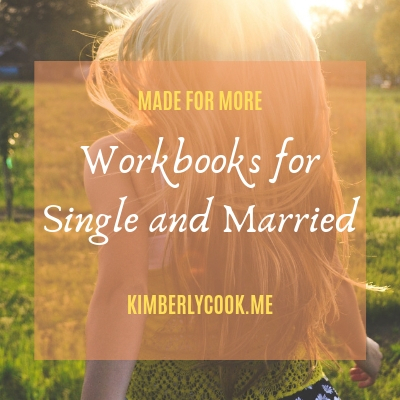 Thank you for this great list of resources. Are the second and third Bible tabs for Catholic Bibles? It looks like the third one has an option for Catholic bibles. I did try brush pens in the Bible. I used Tombow Fude and Dual Brush. Both worked okay. They have dark show-through, but no bleeding. So a good option for small areas I think. I used the Bible tabs from Catholic Icing and love them! Super cute and affordable. I use a highlighting color code chart that was developed by an evangelical (e.g., orange = prophecy, places; purple = God, Jesus, Holy Spirit); I’ve looked for a Catholic color code that has colors for Mary, Eucharist, you know, our uniquely. Catholic doctrines and traditions ?. I guess I could make my own color code, but I’m curious if one already exists. Thanks! I created my own. Purple for promises (my fave colour), Green for commands or actions to take, etc. I think you need to figure out what is important and what you are getting out of reading to decide what you want to keep track of. I pray the promises and I want to know what actions or changes I want to see in my life so I highlight those. Orange is for warnings, blue for facts, these are things that I want to jump out at me. What do you want to keep track of? This is the post I’ve been waiting for. I think for Lent I want to come up with some kind of bible journaling thing for me to do. I’ve now put way too many things in my amazon shopping cart thanks to this post! LOL I got water color pencils for Christmas…I bet that would be a good thing to use. Kate from that Etsy shop has had a lot of good tips. Like she says you may be better off using sticker paper so that you don’t have to worry about bleed through. Or use a sticker sheet on one side and write on the lines on the other. Bible Journaling is the “in” trend right now b/c Michaels has a ton of bible journaling stuff and crafts. Hi I’m thinking of purchasing this bible. Have one question. As I am not familiar with this translation , as I read from RSV and Ronald Knox bible…. 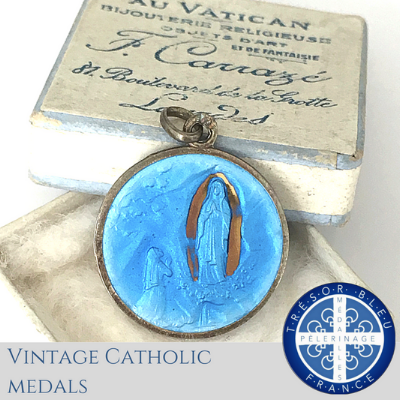 And when referring to Our Lady’s dialogue with the Angel Gabriel is she addressed as Highly Favoured or Hail Mary Full of Grace? Thank you for any feed back.